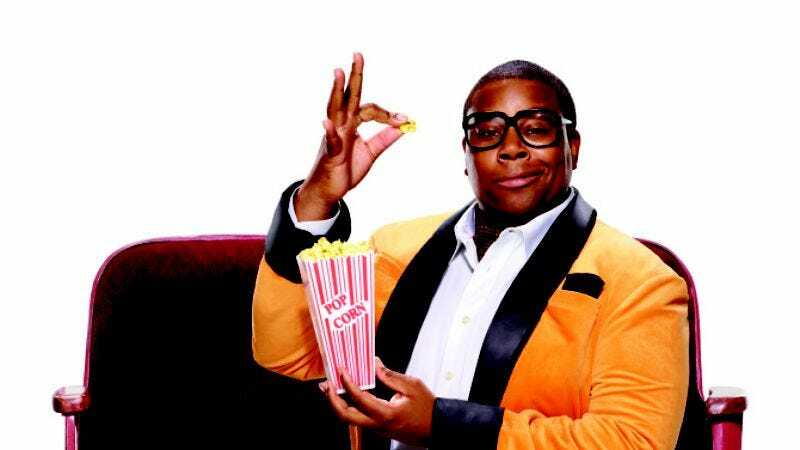 After a lifetime trapped in the miserable hell of sketch comedy (not counting a brief respite in the form of a teen-friendly sitcom), Kenan Thompson is finally breaking out and doing something else for once. He’s not getting into politics or real acting, though, he’s actually becoming what could end up being the greatest advertising character since the Priceline Negotiator or those real estate people that Jeff Goldblum, J.B. Smoove, and Elizabeth Banks play. According to The New York Times, Thompson is now “Miles Mouvay, an ascot-wearing, butter-scented mascot” for online movie ticket website Fandango. Ah, but that’s the whole point of this new campaign: Fandango isn’t just an online movie ticket website anymore. Apparently, it “now offers seven original video series,” which you may have never found out about if not for Thompson graciously informing you of their existence in a series of TV commercials. The New York Times says Miles Mouvay will tell his story in eight different ads and 18 digital videos, but the gist of it is that he’s a huge movie fan who wears an orange jacket and says things like, “My mama birthed me in a movie theater. In fact, she loved movies so much, she waited until the credits rolled and then carried me home in an extra-large popcorn bucket.” Just imagine that in Thompson’s voice and you’ll get the idea. If these ads really take off and make Thompson a bigger star than he already is, maybe SNL will finally make the “What Up With That?” movie we’ve all be clamoring for. Well, we’ve been clamoring for it, at least.